is automatically a member of the region. We do not have dues. Occasionally we ask for a donation from the members to cover expenses such as honorarium, maintaining the website, others. (and often resentful) to be asked to join again in September. 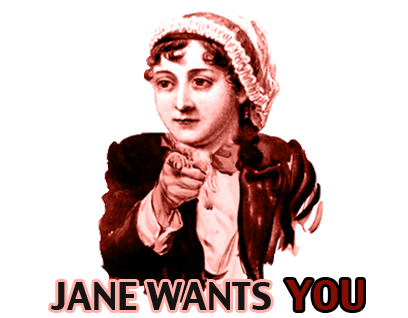 The Jane Austen Society of North America is dedicated to the enjoyment and appreciation of Jane Austen and her writing. JASNA is a nonprofit organization staffed by volunteers, with over 4,500 members and more than 70 regional groups in the United States and Canada. Its members, who are of all ages and from diverse walks of life, share an enjoyment of Austen’s fiction and the company of like-minded readers. Participation in members-only tours to England, organized and led by professionals with special access to Austen sites. submit membership information and payment using PayPal (available for U.S. and International memberships only; not available for Canadian memberships). If you don’t already have a PayPal account, you will be able to open one after you click on the PayPal link and complete the JASNA membership form. PayPal transactions are processed in U.S. dollars. As indicated on the Membership Form, contributions may be made to JASNA and JASNA-sponsored projects in England. * International dues apply to members whose address is not in the USA or Canada. ** Family membership: 2 persons at the same address, each of whom is a member; the household receives one subscription to JASNA News and Persuasions. *** Sustaining membership: same benefits as Individual membership; the extra dues are a contribution to JASNA, for which a tax receipt will be provided. **** A Life Member may convert to Family Life by adding another person at the same address. USA and International dues are payable in US dollars; Canadian dues are payable in Canadian dollars. The membership year begins September 1 and ends August 31. Members who join before June 1 will receive the current year’s edition of Persuasions as well as any back issues of JASNA News that might have been missed, as long as supplies last. Members who join between June 1 and August 31 will receive the summer issue of JASNA News but will otherwise be enrolled for the following full membership year that starts September 1.